On behalf of all of Brotherhood, I would like to offer a huge THANK YOU and Yasher Koach to Danny Mandeau for his service as Brotherhood President over the last two years. Danny’s enthusiasm and commitment to our community is truly an inspiration. We are grateful for everything he has done and will continue to do for Brotherhood. Working with me is an outstanding leadership team for 2017-18. Please see our preliminary list below of upcoming Fall programs. Even if you do not have time to attend our many events, I want to thank you for your membership in Brotherhood, which is a great way to support our efforts to create an even greater sense of community at our shul. For more information please email me anytime (my email never sleeps). 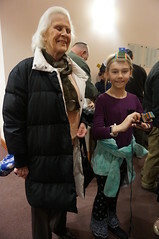 Are you interested in serving the Temple Emanuel community through activities such as the World Wide Wrap / Build a Pair Tefillin or Yom HaShoah Candle Assembly programs? Tour de Shuls Charity Bike Ride? How about meeting with other committed members at our Monthly Events? 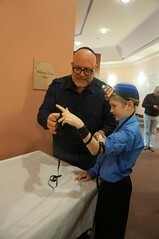 Then Temple Emanuel’s Brotherhood is for you! 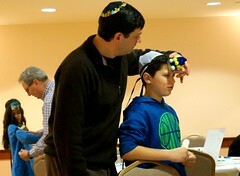 For more information on how you can be a part of the Temple Emanuel Brotherhood please email us. 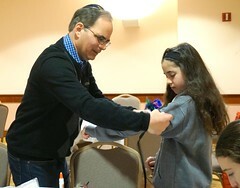 The Temple Emanuel Brotherhood organizes and sponsors numerous religious, social and educational events throughout the year. Join Brotherhood to help us fund our activities. Then consider coming to the monthly Brotherhood meetings where we decide on and develop our programming. Please include your email address along with your home address when paying by check. Please note that for all online donations, a 3% convenience fee will be added at checkout to cover online processing fees. No matching events listed under Brotherhood. Please try viewing the full calendar for a complete list of events. For a complete listing of all Brotherhood programs, please visit our programs page.